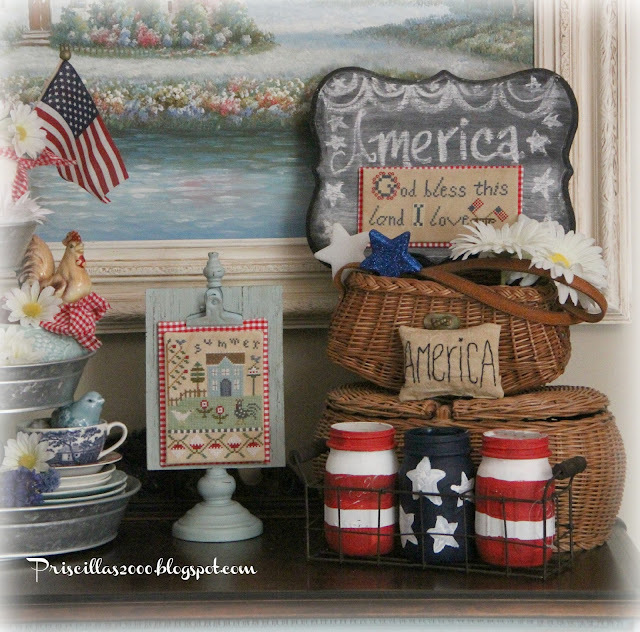 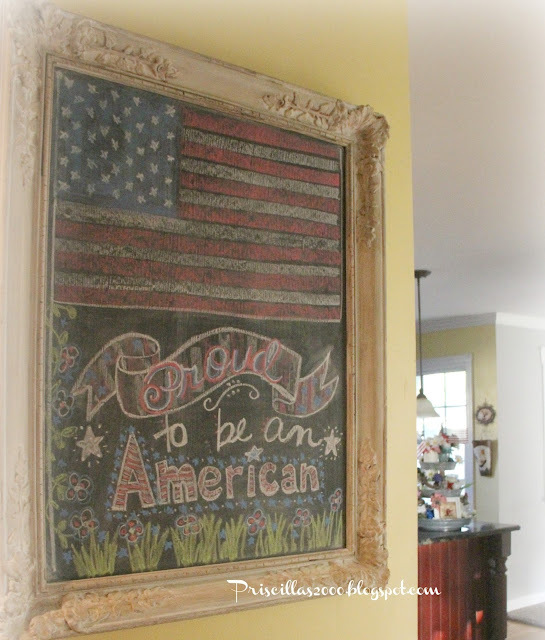 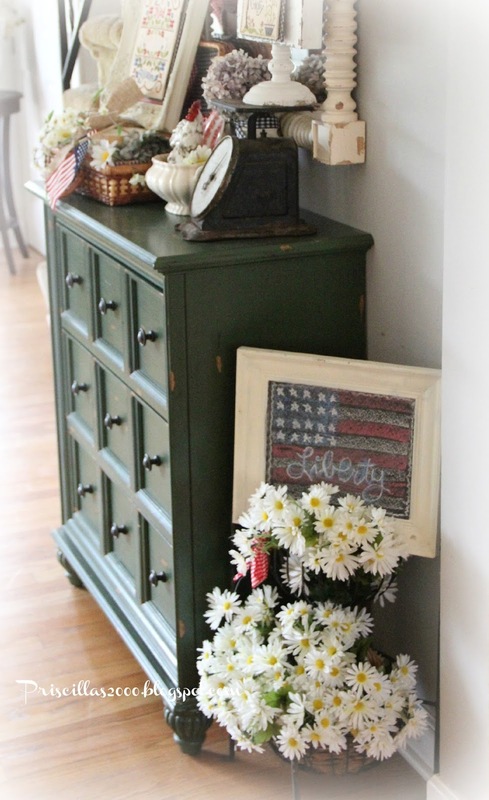 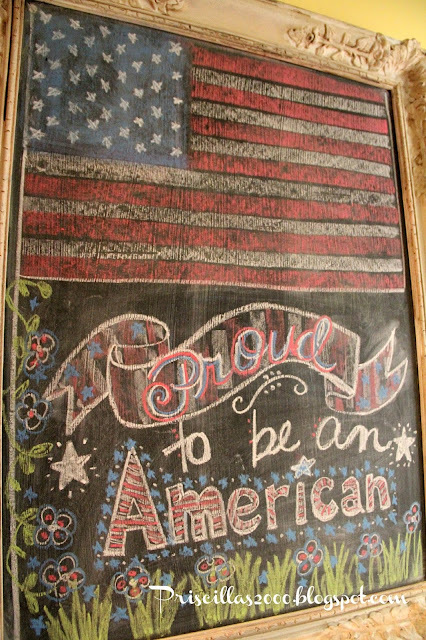 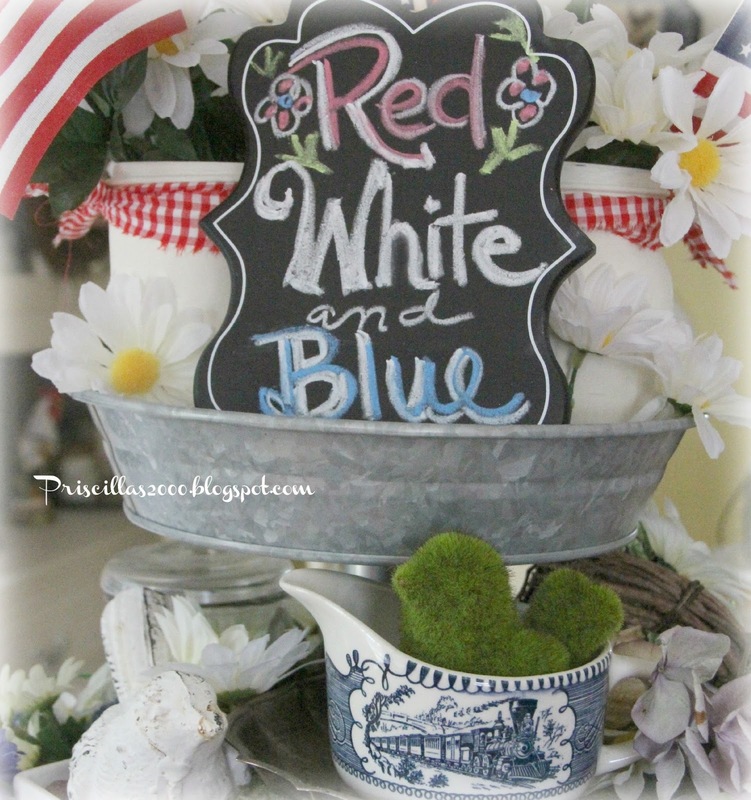 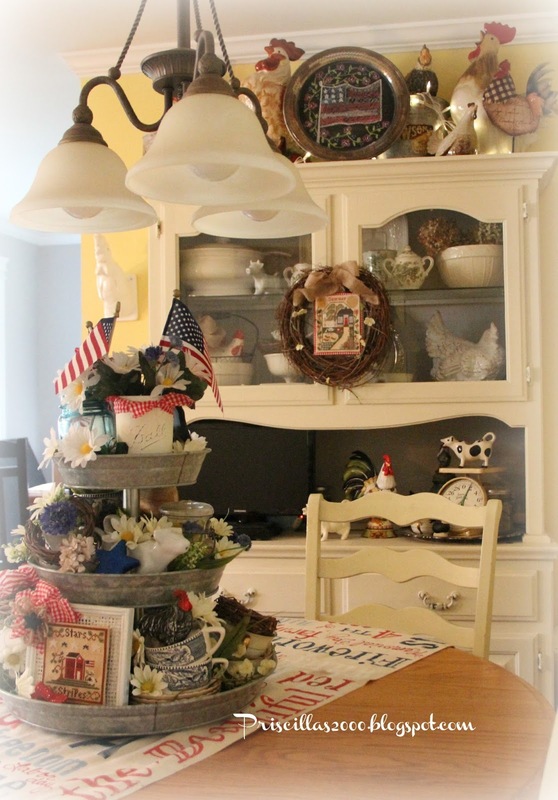 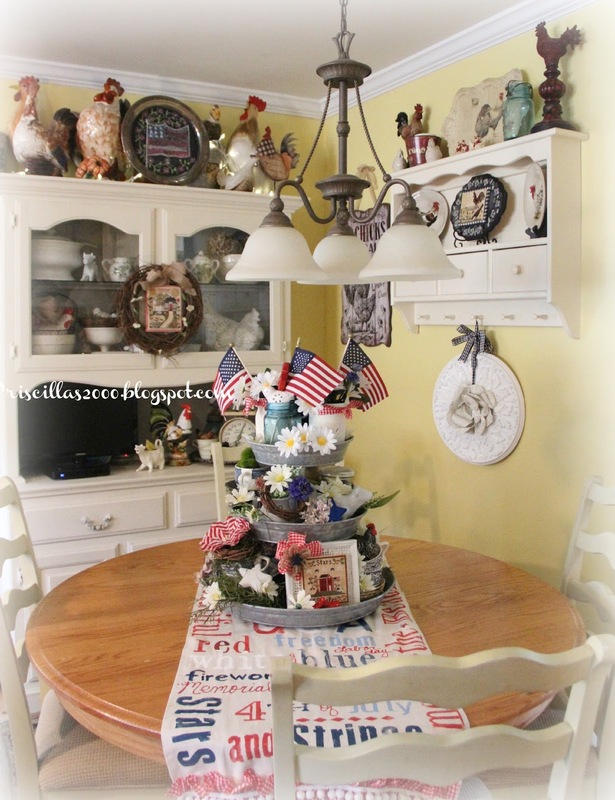 I am here to show you the red, white and blue chalkboards that are decorating the house for this patriotic season ! This is the large seasonal chalkboard that hangs on the wall into the kitchen from the family room..It is in a garage sale frame ..and gets changed out probably monthly. 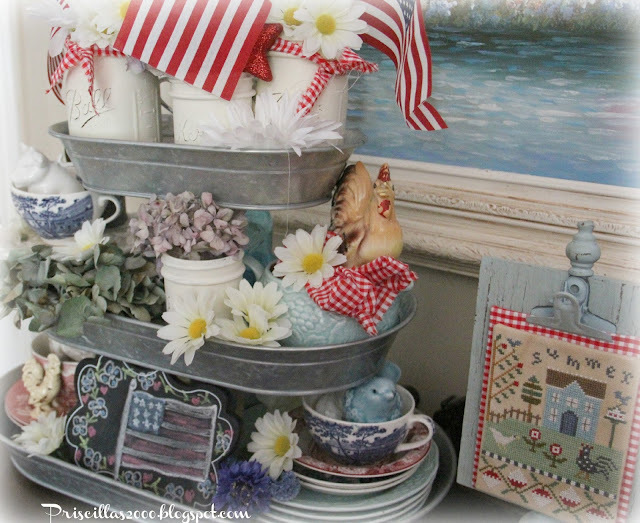 Each of the galvanized tiered trays has a little chalkboard in them..
On top of the hutch in the kitchen is a thrift store silver tray painted with chalkboard paint.. 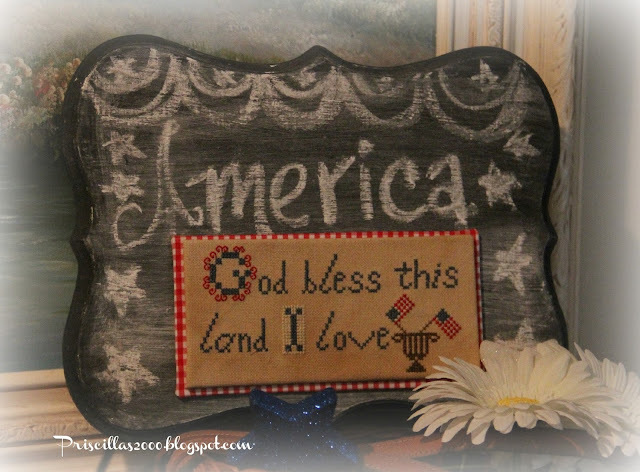 This chart is from the Sampler girl..